If you suffer from obsessive-compulsive disorder, I may have found your perfect vehicle. 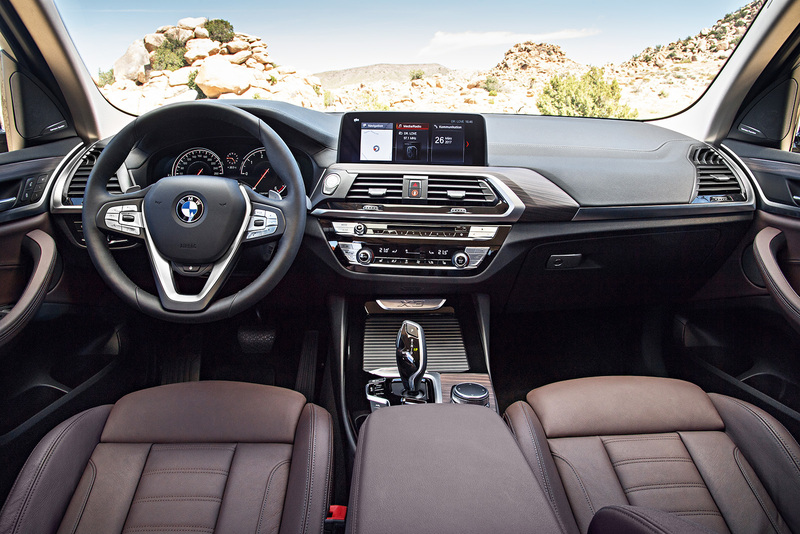 The new BMW X3 has enough settings that you can spend hours fidgeting with its endless choices to customize exactly how you want the car to behave. Want different color mood lighting for the interior? You can change it. Want to make its lane departure warning more sensitive? Want it to warn you when you break the speed limit by a certain amount? Want the navigation screen or the gauges to look different? All that is adjustable in the all-new 2018 X3, a vehicle that strikes me as the ultimate family car for the smartphone generation. Granted, its myriad settings are often buried under several layers of digital sediment, requiring menus, sub-menus, sub-sub-menus and so forth before you find the right choice. Still, the fact that it lets you customize so many facets of the driving experience in such granular detail make it perfect for picky people. BMW’s popular and practical X3 gets a complete makeover for the 2018 model year. Its digital features and crisp, sports-sedan-like handling make it stand out in a jam-packed field of crossover vehicles. Its feel over-the-road is likewise designed for perfectionists. While its basic mission still raises questions in my puritanical mind — most pointedly why a family vehicle should feel “sporty” at all, rather than aiming solely for practicality and comfort — I’ll give BMW a pass for honing the contemporary sports sedan in an inspiring way. This is their gig, and they do it well. If you’re OK with the idea of a sports crossover in the first place, this is the one to beat. It rides higher than a sedan, true, but it’s still fun to fling in corners. With all-wheel-drive traction, my tester felt composed and exuded confidence in aggressive driving, whether braking firmly or tackling tight turns at speed. It seems to thrive under driving conditions that make lesser crossovers wilt. All the sensations of driving are transmitted through very firm — some would say too firm — seats. In longstanding BMW fashion, the seating feels more like hard benches than cushy living room recliners, another odd but distinctive choice for a family crossover. Power in my tester came from a 2.0-liter, four-cylinder turbocharged engine that rumbles and pulls more like a V6. It generates 248 horsepower, a number that results in merely mediocre acceleration by BMW’s high standards, clearly geared to create smiles at the fuel pump more than at green lights. And it does. Even with the all-wheel-drive system on my tester, it was rated for 29 mpg in highway driving. On a trip from Dallas to New Orleans, I was pleasantly surprised at the cheap fuel consumption getting close to those typically sketchy EPA numbers. Standard sport seats with adjustable side bolsters and a firm, supportive fit add to the X3’s sporty character. 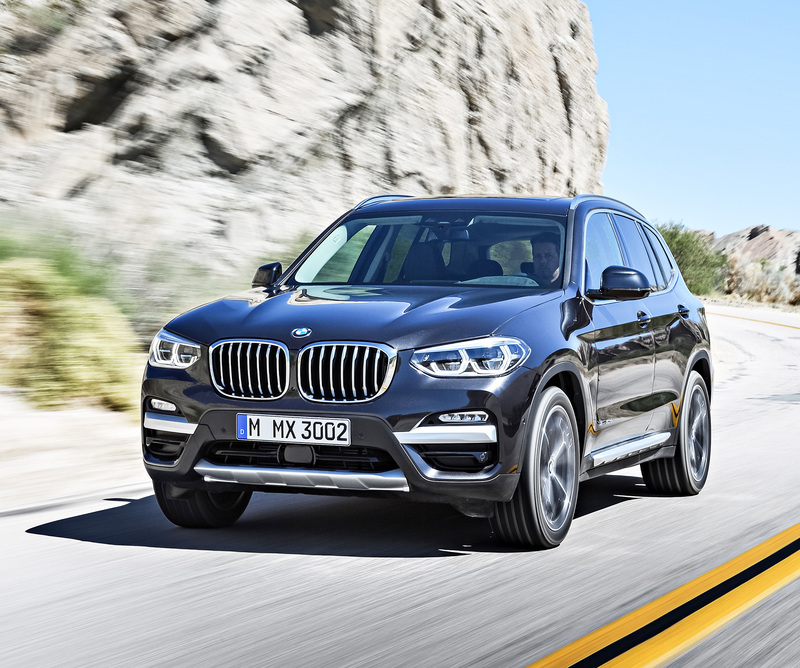 Other than its sparkling handling and predictably handsome BMW styling, the biggest reason to consider the new X3 is its brilliantly designed collection of digital toys. I’ve driven very few cars that come close to this combination of powerful smartphone integration, endless customization options and snazzy graphics with crisp lines, clear text and vivid colors. If this new generation X3 was intended to appeal to people addicted to digital screens, BMW sure did the job right. It’s an unusually competent mixture of fun driving dynamics, a family-friendly cabin, and Silicon Valley polish. Pricing starts at $41,000 and quickly climbs higher as you check the option boxes. The six-cylinder, 355-horsepower M40i version starts at $54,500. It’s a brilliant driving machine that keeps family-friendly practicality and contemporary digital life in mind.